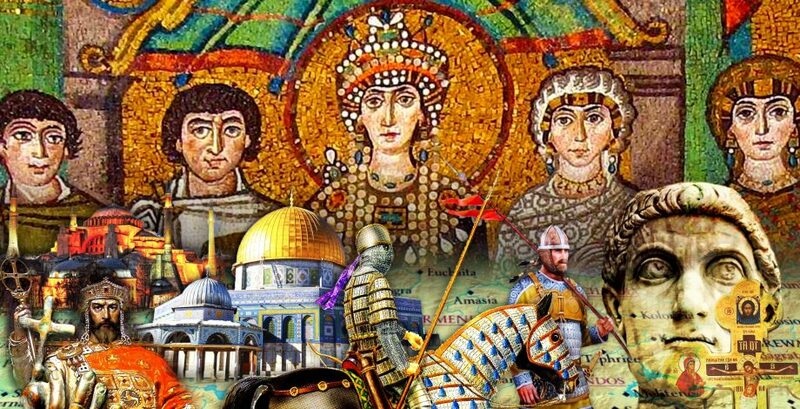 I have an opportunity for you to hear a bonus Byzantine Stories episode for free. Just give me a moment of your time. So, as most of you know, the podcast is now working with Acast. They’re connecting the History of Byzantium with companises whose adverts play at the start of the show. In order to advertise products that will be of interest to you we’ve set up a listener survey. It’s got about 30 questions and its asking for your demographic information. Its completely anonymous and you won’t have to input your email or anything. It would be really helpful to me if you could take a moment to fill out the survey. But I know some of you will think – “What do I care? Let other people do that, I can’t be bothered.” Fair enough. What’s in it for you? Well – this is what’s in it for you. I’m currently working on a Byzantine story about Roman medicine. I think its going to turn into a 3 parter. So if I can get 500 listeners to fill out the survey – then you will all get part 1 for free. So if you’d like to learn more about the terrifying experience of Roman surgery. Then click here and fill out the survey. Completed the survey…now how do I get the epi? Thanks so much. I should know next week if we’ve got 500 responses and then eventually the episode will appear in the feed. Done! Extra episode or not, happy to help the podcast I love. …Even though, like the Byzantines, I personally disdain the sordid nature of business and its quintessentially mendacious aspect – advertising. But whatever lets the content of such consistently high quality made by labor of obvious personal devotion keep going =D! The “how often do you skip ads” question should have an answer “I skip ads I’ve heard before”. The thing is, I only everget the same ad, time after time. I listened to it dutifully the first time. Paul F Tompkins is adept at making his advertisements interesting and unique. I rarely skip his ads sometimes even when he is obviously reading someone else’s writing. I also routinely listen to ads voiced by Mike Duncan (who got me to make my first podcast ad purchase ever, and that was a close shave). Mike’s ads are usually personal and authentic. I don’t think I’m out of line to say that we, the audience, are loyal to the podcaster and not the sleezy voice “talent” for some flooring company whose ads we skip on terrestrial radio too. Ad agencies should recognize the medium for what it is and use the loyalty that truly talented people like our gracious podcaster have earned and that thus come with his voice and his voice alone. One good writer taking half a day would be cheaper than the booth time it took to make that one-size-fits-none ad we’ve gotten lately. It’s 6/29/17. How many responses do you have so far?